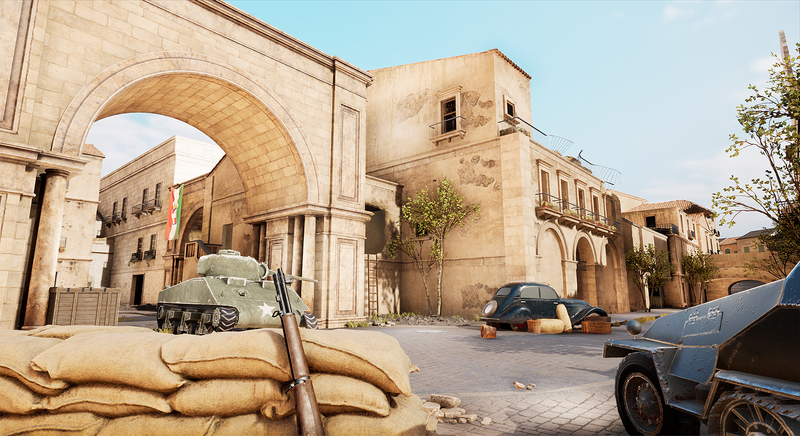 We are excited to announce that Battalion is now expanding its theatres to the mediterranean with the introduction of the new Italian competitive map ‘Savoia’. Savoia has an interesting development story that has grown from the passion of the competitive COD community. Mark ‘Phantasy’ Pinney started work for us as a QA Tester in our studio in May 2017. It didn’t take us very long to realize he had a little experience in Unreal Engine and a real talent for level design. Step by step we started giving Phan bigger and bigger tasks as he evolved from a professional gamer into a professional game developer. We first asked Phan to make a “Shipment style TDM level”. He gave us Coastal…. If you look at the center of Coastal you can actually see how it was supposed to play like a small 1v1 level. One day Phan showed us a ‘blocked out’ (basic design) level he made for his University Project, he originally showed us as a joke… But when we imported it into Battalion and ran around in it, Phan’s experience in COD had let him to accurately design the feel and scope of a Call of Duty style map. We decided to investigate further as our level design team started working with Phan to flesh out the map further. Then, in February 2018 we started adding art to a thoroughly designed level. You can see that transition from the passionately designed map into full blown video game environment in the gif below. 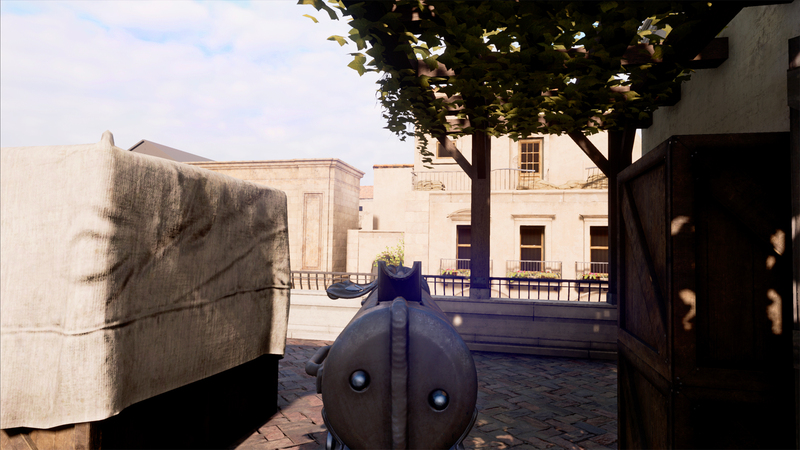 Savoia has wide streets and architectured crossing points for some great sniper battles. In an effort to reduce the ‘corner jumper’ meta, we’ve added more windows, more open points and less tight chokes. We’ve also opted to push for more verticality this time. Previously some of our maps are guilty of being too one dimensional. We’re pulling away from many CSGO design principles that work for CS and making our own design rules based off of feedback from the community across all of our maps. Very soon we’ll be releasing a detailed update on the changes coming in Major Update #2 (MU2) based on the feedback we’ve been receiving over the last 3 months. This will also be our last new competitive map for some time as our art team turns their focus onto Major Update #3 (MU3) and Arcade 2.0 as well as content for full release such as the Russians! 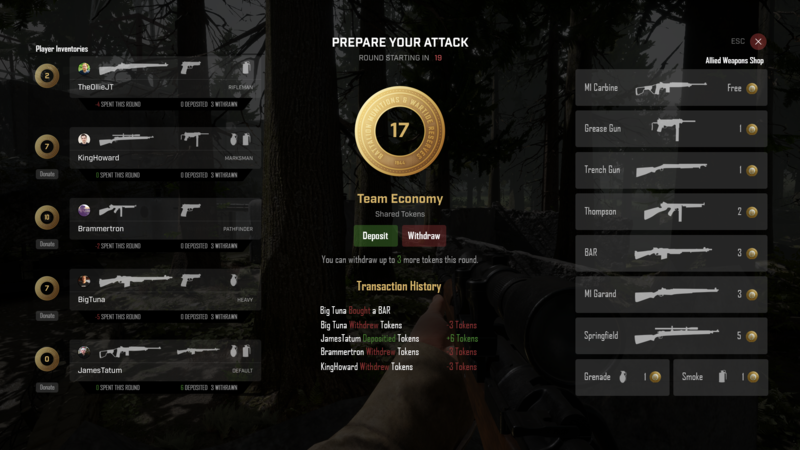 Throughout the development of Battalion our goal has been to bring back the feeling of old school style games through the movement and feel of weapons in Battalion 1944. To progress these older titles we needed a new game mode fit for a 2019 gaming audience that was accessible whilst inclusive of spectators as well as casters. We wanted to try and encourage team work by forcing teams to ‘share currency’ in Wartide 1 and 2. Unfortunately, I think we all agree that there are too many players that are simply not interested in playing as a team. Furthermore it is totally acceptable for people to want to play a game on their own with their own strategies. However, we still want an aspect of sharing and teamwork in Battalion, therefore we are introducing our ‘Dual Currency’ system. You will now be able to have your own personal in game wallet along with a separate team pool. Individual token pickups are rewarded straight to your personal wallet whilst team efforts such as planting or defusing the bomb and loss bonuses are awarded to the team pool. You can donate an unlimited amount of your tokens to other individual players or to the teams pool, however the maximum you can withdraw from the team pool is ‘3 tokens’ per round. We hope you agree that this is a step in the right direction for Wartide 2, we will be testing this revamped competitive mode with Early Access players prior to MU2’s update. In the live version of Wartide, players currently are able to pick up and use enemy weapons within the round they acquired them but their weapons get wiped as the round resets. This means allied players don’t get the benefit/reward of keeping the weapons that they have picked up into further rounds, for example, allied players have no permanent way of taking a 1 shot Kar98 rifle from the other team and keeping it until the next round should they survive. With Wartide 2.0 - this is all about to change! Players will now be able to ‘save weapons’ between rounds. This means a surviving player can pickup and take secondary weapons into the next round, therefore lost rounds still have value as you can scavenge an enemy weapon and keep it for the next round to get a crucial opening pick. This will drastically change the dynamic of buying and saving weapons in the new version of Wartide and has been something players have been asking to have in competitive play for a long time now. We can’t wait to see how this singular change effects all levels of play. For players less interested in the competitive side of the game there is good news on the horizon. We’ve started to focus our efforts more and more on what we’re calling “Arcade 2.0” a total rework and rebuild of the Arcade experience that will be going live with Major Update 3 (MU3). From incentivising play time and objectives, to building maps that are designed solely for the Arcade experience. 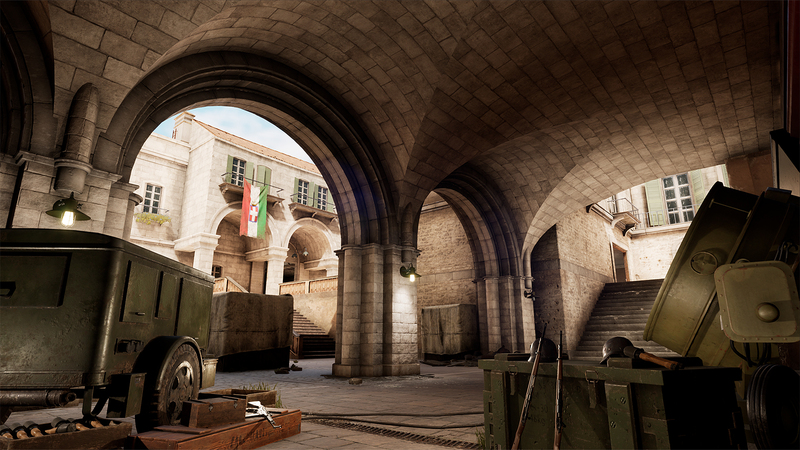 Arcade 2.0 will be another great turning point for Battalion 1944 and really provide it’s players with a well rounded choice of ways to play. Thanks for tuning in and make sure you stay tuned we have lots of big announcements coming soon as there is loads going on over here at Bulkhead HQ. Look out for our series of Major Update 2 announcements coming including the full change log for you guys. Lots of good changes scheduled for June!